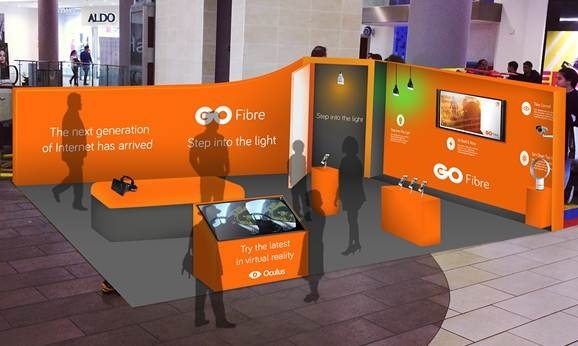 6 May 2015: Following the recent announcement of a €50 million plus investment in Fibre-To-The-Home (FTTH) Internet, GO is inviting the public to experience the superfast Internet world of the future, including the opportunity to try out the much talked about Oculus Rift virtual reality headset. Over the next four Saturdays, starting 9 May, a special stand will be open at The Point shopping complex in Sliema. In addition to the Oculus Rift, the stand will also showcase Ultra High Definition TV and other Internet powered devices which will become common household items with the roll out of superfast Internet. Visitors to the stand will also be able to learn more about GO’s fibre services. More than 17,000 homes, located mostly in Sliema and areas of St. Julian’s and Lija are in fact already able to access FTTH connections and GO internet subscribers in these areas can now switch their Internet service to fibre, even if they choose to remain on their current Internet plans, in order to future proof their homes. Customers in these areas who wish to start enjoying the benefits of GO fibre immediately will also be able to select from new superfast Internet plans which will be announced shortly. « Android urinating on the Apple logo in Google Maps!